Ever want to buy something at the grocery store just because the package is so freakin’ awesome? I do all the time! Fufu is a West and Central African staple made from starchy vegetables like Cassava and Yams or Plantain (which is actually a fruit). They pound the living day lights out of it to make something that kind of looks like bread – and is used is in a similar way – you rip a bit off and dunk it in your soup or stew. Sounds delicious. Oh oh think I might be making some Peanut Stew and Fufu soon. 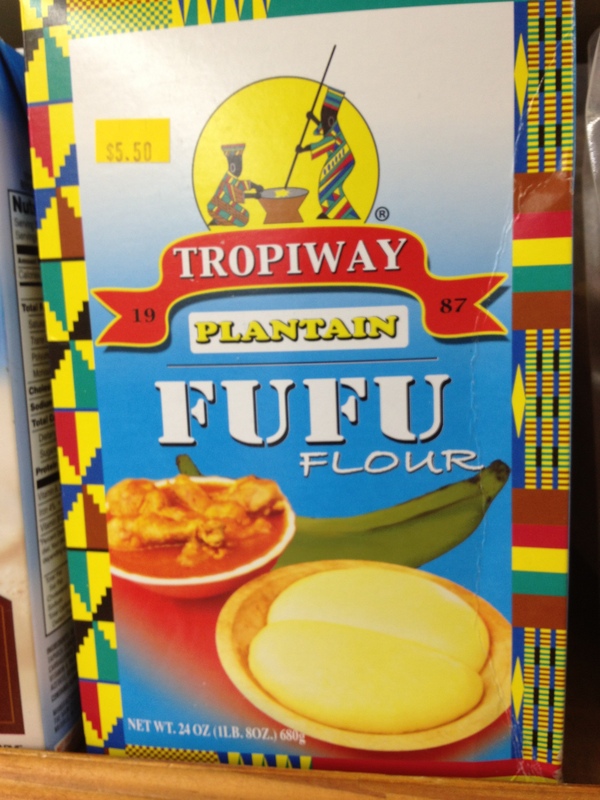 This entry was posted in NYC, Other Stuff and tagged cassava, central african, dual indian, fufu, plantains, starch, west africa, yam. Bookmark the permalink.